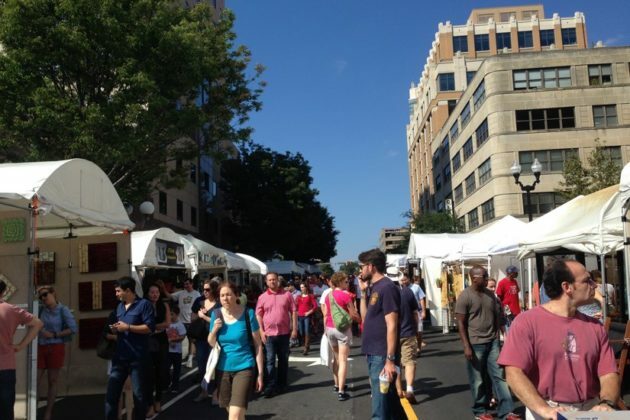 Several road closures are planned for this weekend’s Arlington Festival of the Arts in Clarendon. The 7th annual arts event runs from 10 a.m. to 5 p.m. Saturday and Sunday on the 3000 block of Washington Blvd. 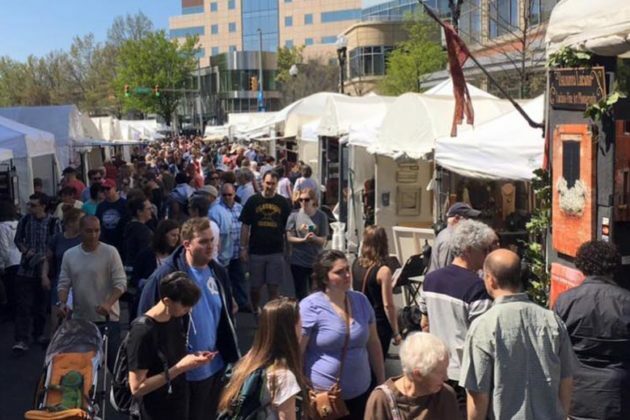 The free festival is set to feature handmade paintings, jewelry, ceramics, glassware and more creations from around 150 artists. Washington Blvd between 10th Street N. and Clarendon Blvd, except for one lane of traffic which will be open eastbound. N. Highland St. between Washington Blvd and Clarendon Blvd. 11th Street N. between N. Highland and N. Garfield Streets, except for delivery traffic. Southbound N. Garfield Street will have eastbound left turns open to Washington Blvd, according to police, though additional road closures may be necessary. Police are encouraging attendees to take Metro or ride-hailing services, as parking will be limited. Drivers should watch out for “No Parking” signs in Clarendon near the festival this weekend, according to ACPD.